The Athlete Profiles Page allows you to enter/view profile information about the athlete, their medical support team, or any other Profile information that your organisation/sport feel is important to capture. 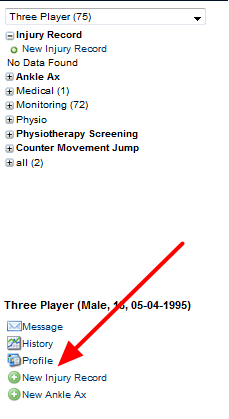 Select the "Athlete Profile" link on the Home Page (shown in the Image above). Click on their profile photo, or name. There may be one or more forms for you to view/update depending on your organisation/sports requirements. 1. Click on the drop down list and select the Profile Form that you want to complete. 4. 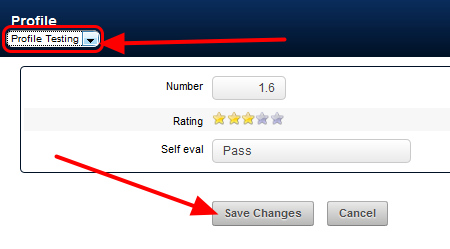 Enter/update any other Profile forms (available from the drop down list ) and Save your changes. 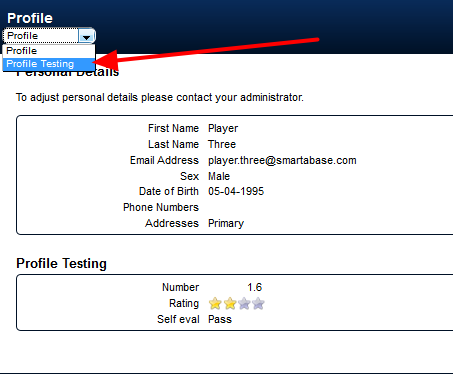 To view a different athlete, click on the "Select An Athlete" link in the trail bar.